That time can heal just about any pro sports-related wound became evident when Kenny Easley was welcomed back into the Seahawks family, and graciously accepted the welcoming, to get inducted into the team’s Ring of Honor, and later to have his No. 45 retired. 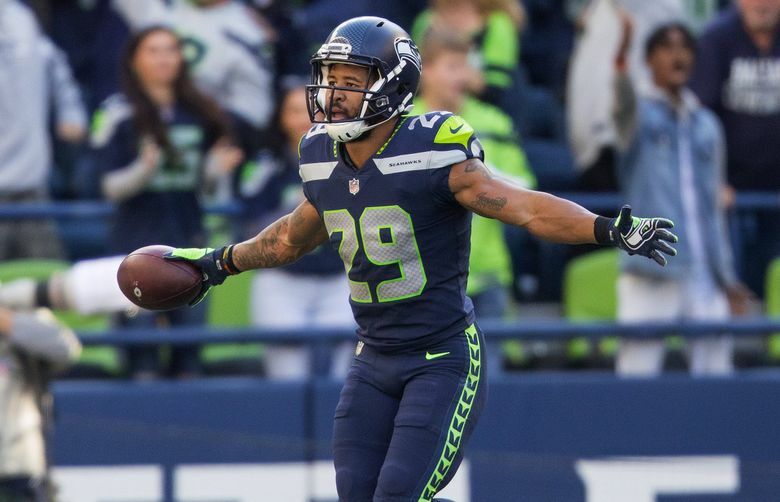 So if you’re thinking that the last image of Earl Thomas as a Seahawk — a profane gesture aimed at Seattle coach Pete Carroll as he was carted off the field at Arizona last September — might mean a relationship too frayed to ever repair, there’s precedent. Recall that Easley sued the Seahawks, claiming that how the team treated him with pain killers for an ankle injury led to kidney disease that ended his career. And one person who thinks bygones will eventually be bygones when it comes to Thomas and the Seahawks is Thomas himself. Now a member of the Baltimore Ravens, with whom he signed a four-year, $55 million contract last month, Thomas said in an interview on The Rich Eisen Show Wednesday that he hopes to someday sign a one-day contract with Seattle so he can officially retire as a Seahawk. Thomas, a first-round pick in 2010 in the first draft for Pete Carroll and John Schneider, seems a given for the team’s Ring of Honor. The six Pro Bowls he earned while a Seahawk — the most to date of any player in a Seattle uniform other than Hall of Famers Steve Largent, Walter Jones and Cortez Kennedy — is among just many stats and accomplishments that speak to the legacy Thomas left behind in Seattle. But retiring his No. 29 might be another issue. Seattle has only retired four jerseys of players so far — Largent, Easley, Kennedy and Jones — the four players who spent their entire careers with the Seahawks who are also in the Pro Football Hall of Fame. And for now, that appears to be the precedent, retiring only jerseys for players who are both in the Hall and were only Seahawks (Easley was traded to Arizona but it was nullified after his kidney issue was discovered and he never played for the Cardinals). But precedents can be broken, and the Seahawks may someday have some tough decision on their hands when it comes to both Thomas and Richard Sherman, as well as any other key members of the team that won Super Bowl 48 who might move on to other teams someday (it’ll obviously bear watching over the next years if the Seahawks let any players wear those numbers. Seattle has given out Marshawn Lynch’s No. 24 the past few years). But despite the broken leg — his second in three years — and contentious holdout, he eventually got what he wanted, just not from the Seahawks, with a contract with the Ravens that will pay him $32 million guaranteed in the first two years. His last Seattle contract paid him $40 million over four years. And he said that has allowed him to take a little less emotion-laden view of the end of his Seahawks’ tenure. Eisen also asked Thomas if he felt like the Seahawks should have won another Super Bowl or two and specifically mentioned the ill-fated loss to New England and whether Seattle players were ever able to really move on. Lots of factors, of course, could also be cited for the inability to get back to the Super Bowl in the four years since then, beginning with Kam Chancellor’s holdout in 2015 that led to an 0-2 start and meant having to go the wild card route that season, as well as season-ending injuries in 2016 to Thomas, and then in 2017 to Sherman and Chancellor. But Thomas called it “a very fair assessment’’ that the disappointment and frustration over the Super Bowl loss lingered.